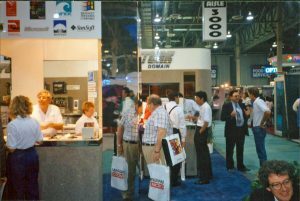 COMDEX was the premiere trade show held in Las Vegas for the computer reseller market. By the early 1980’s it was the main showcase for computer manufacturers. 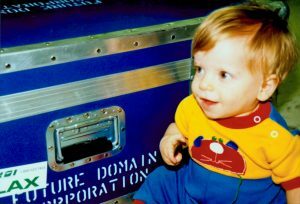 From the early 80’s it was primarily a place I went to look for consulting business, but by the mid 80’s the roll was reversed, we needed to go to COMDEX to market and introduce products. Our first time exhibiting at Comdex was not on the show floor, but in a hotel room. We would go around the show and invite OEM’s who were exhibiting to see our new SCSI host adapter product line. 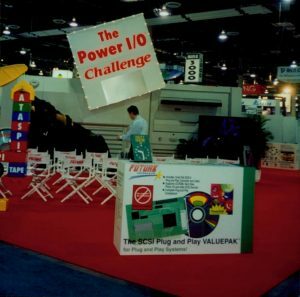 By 1990 we needed to be on the show floor to support our reseller market. We started with a small 5×10 booth. Each year, as our reseller business grew our Comdex booths became bigger and more elaborate.